This book is a superb sequel to the wonderful children's book, The Rainbow Fish. 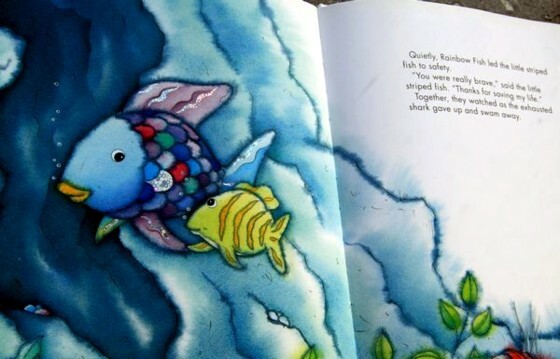 Although Rainbow Fish to the Rescue can be read as a stand-alone, the lesson from the book's moral is clearer if The Rainbow Fish is read first. The Rainbow Fish establishes the pleasures and benefits of sharing and belonging. It can leave a child feeling that there are no other issues. 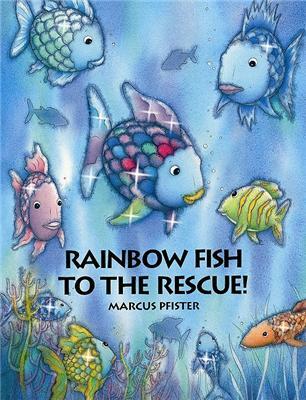 Rainbow Fish to the Rescue expands that vision to the idea of inclusiveness, rather than forming and maintaining cliques. 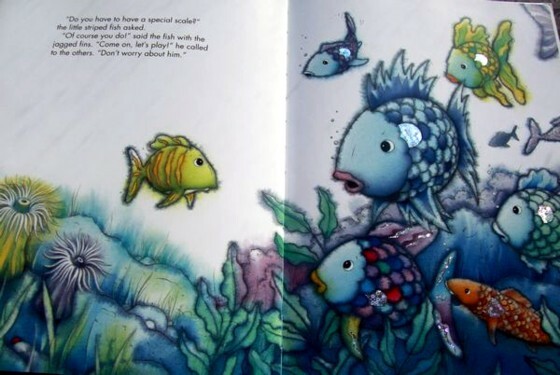 You will also enjoy seeing the spectacular foil highlights on the pages, as you did with The Rainbow Fish. "Ever since Rainbow Fish had shared his scales [with the other fish], these fish had done everything together." "They played . . . ate . . . [and] even rested together." "They were so happy together, they had no interest in other fish." Their favorite game involved tag using the shiny scales that Rainbow Fish had shared as the "it" spot. When a little striped fish comes up and wants to play, some of the fish reject him because he doesn't have a scale like they do. 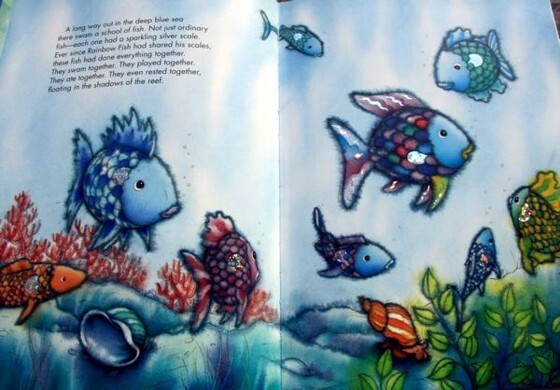 In essence, they have become as vain and self-satisfied as the Rainbow Fish was at the beginning of the first book. Although Rainbow Fish feels a twinge of sympathy for the little striped fish, he ultimately ignores the newcomer. Suddenly, danger stalks the reef. The shiny scaled fish head for cover, leaving the little striped fish to his fate. The book's resolution is full of good examples of how the many can change to accommodate the few without any serious harm or loss of fun to themselves. You can use this story to talk about the special issues of unpopular children and those who are new to the school. A helping hand in either direction is a great thing for a more popular child to provide. Many children would be willing to do that, but just either don't think of it or are not quite sure how to do it in terms of the group of friends the child has. With your helpful comments, those hurdles can quickly be overcome. I suggest that after enjoying this book, you ask your child if anyone in her or his grade is ever left out like the little striped fish is here. Then, you could ask him or her what it probably feels like to be that child at those moments. From there, you can shift into how a helping hand of friendship can be usefully extended in an acceptable way. May all be appreciated!